Colour application belongs nowadays to the most popular decorations. 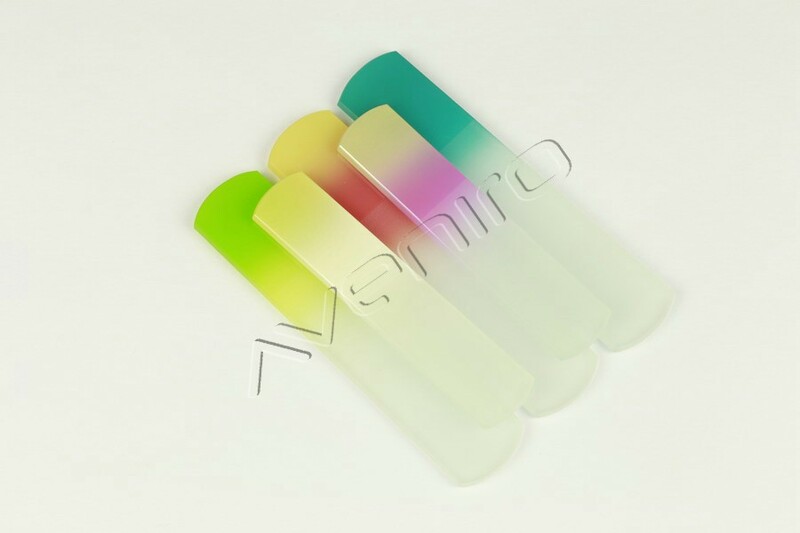 We offer 12 basic colours in both glossy and matt finish – yellow, lemon yellow, magenta pink, green, aqua blue, violet/purple, cobalt blue, ruby red, salmon red, black, white and orange, two metallic colours – silver and gold and four phosphorescent colours. Newly we have introduced to our standard range the collection of pastel colours and colours with optical effect. 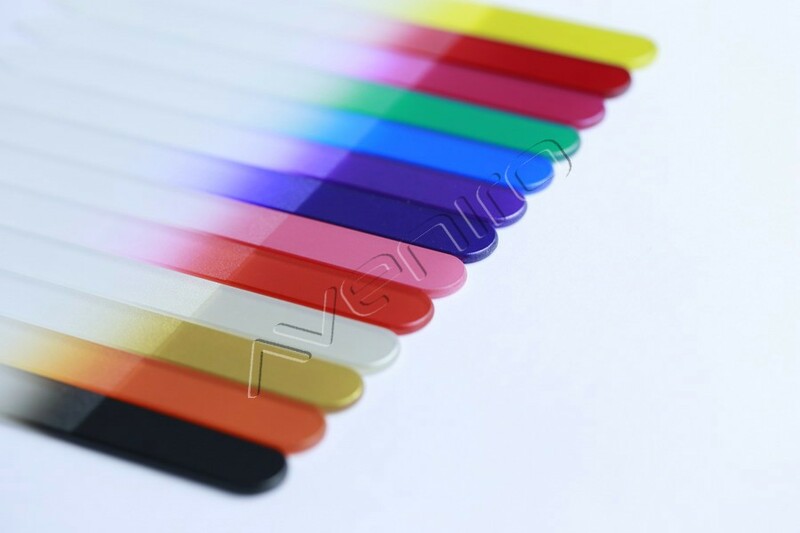 It is possible to apply each colour and colour combinations on all types of glass nail files. There exist an infinite number of possibilities; it only depends on the customer’s choice. 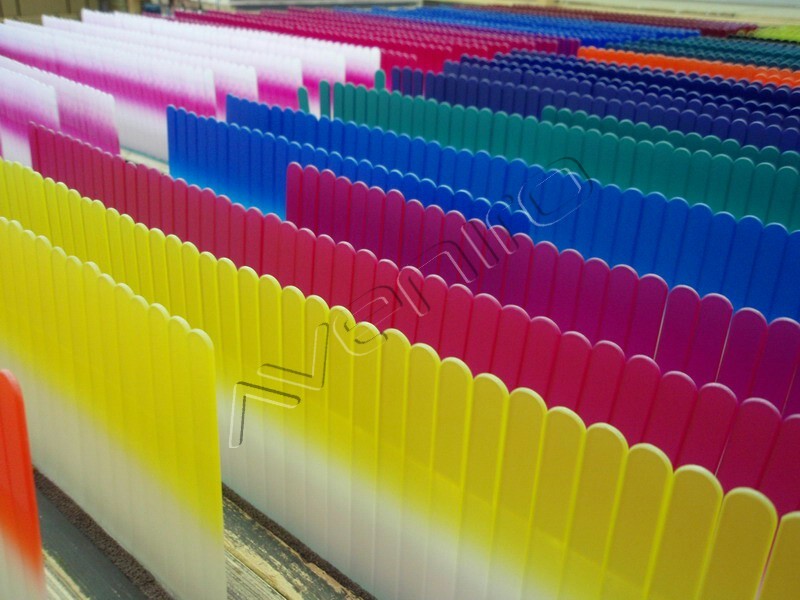 For bigger orders we are able to prepare, beside standard colours, almost any colour on customer’s request according to the Pantone standards. 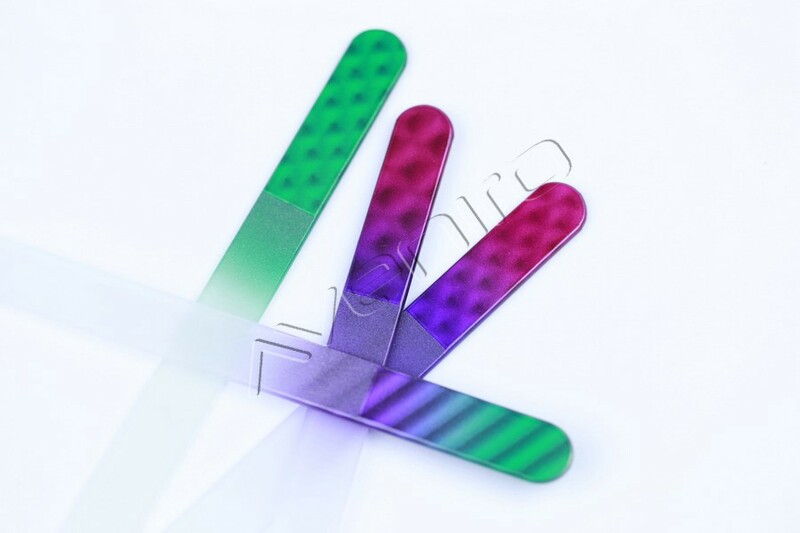 This way it is possible to reach individual appearance of glass nail files.